The enterprise environment is pulled back by budgetary constraints from having the latest technology for them and for their clients. The increasing demand for high speed internet and the large bandwidth requirements that go with it have brought in a disruptive change in the enterprise LANs. Other than its requirement to occupy an entire single room in a building, it appears that a typical LAN or Local Area Network cannot hold the growing number of internet-based technology. Not to mention, the equipment costs and huge energy consumption. Such predicament has led to a new generation of Passive Optical LAN (POL) which actually reduces long-term and maintenance, at the same time, delivers similar performance expected of optical networks. POL is based on a Gigabit Passive Optical Network (GPON) as opposed to the copper cables of the traditional two or three-tier switched Ethernet LANs. How is GPON different from Ethernet LAN? Yes, G is for Gigabit-speed in a single-mode fiber that is connected to optical splitters thereby branching out to provide internet access to multiple end users in one strand. Each PON is capable of 32 splits to 128 splits with a distance covering up to 20km. It’s called passive because there is no switching or routing in between while copper cables, on the other hand, connect routers and switches in an Ethernet LAN. Corporate data centers and networks are now using wireless for user access, and here’s WiFi already turning to be the default wireless choice. However, the floor area supported by the usual WiFi access point is less than that supported by an Ethernet switch, the physical reach of backbone needs to increase. GPON fills in this gap thereby meeting this requirement. GPON uses single-mode fiber that splits to multiple endpoints called optical network terminals. It combines voice, data, and video in one strand of fiber, hence, it has reduced cabling requirements to a fraction. It does not eat up space as opposed to a typical Ethernet that occupies a single room in a building. Less cabling requirements, less expense for installment. And also because of this, it is much easier to maintain because of its efficiency in terms of end user-related, adds, transfers, and modifications. It is proven that GPON network has lower operational costs on a yearly basis. There’s no active electronic components, thus, cooling is not required within its premise. It’s time to break off the notion that choosing a high-performance local area network directly implies paying more in equipment costs or energy consumption. Well, isn’t that the most important thing to your clients? 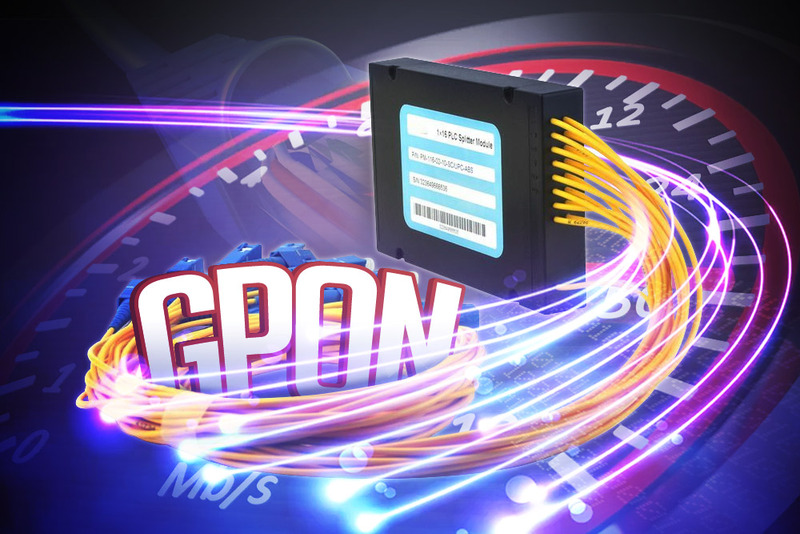 GPON delivers 2.5 Gbps of bandwidth to every optical network terminals which then convert optical signals to those signals used in wiring infrastructures and everything else. People love it when there’s so much they could do online, and that’s only possible if the internet speed is of excellent speed such that people don’t have to stretch the time to hours to get things half done. The same goes true to all internal or external online transactions that you’re working on. GPON cabling does not emit electromagnetic radiation as its components are closely similar to those of a light, hence, there’s no chance of possibly being exposed to radiation. Since it also does not call for constant monitoring and checking to begin with, its maintenance is not prone to human errors.